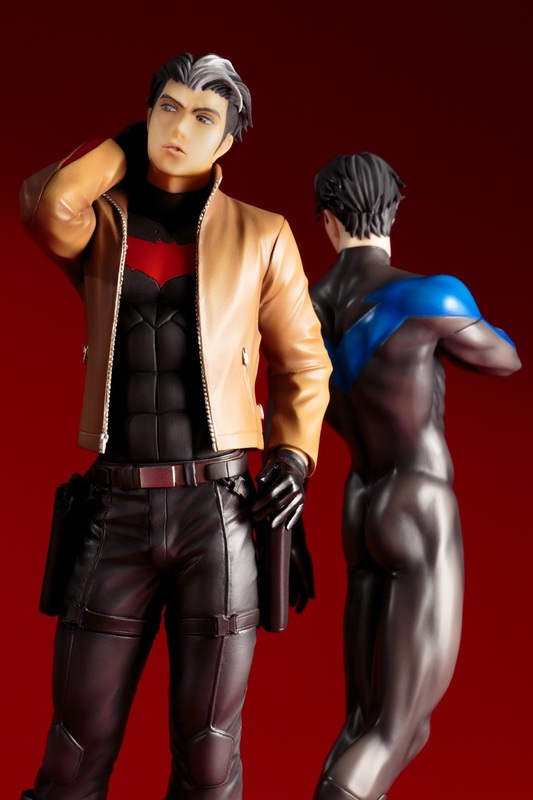 Kotobukiya is branching out into an all new statue concept with IKEMEN. Similar to the popular Bishoujo series, this fantastic expansion is a lineup of popular characters re-designed by the famous Japanese illustrator Ricken in the Japanese Ikemen (“handsome men”) style. 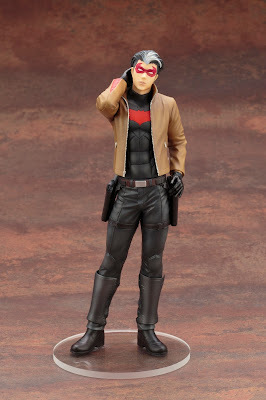 Following up after the debut Nightwing is a true bad boy in the Batman Family, RED HOOD! Todd excelled as Robin also had a violent edge, and the boy unfortunately met his end at the hands of the Joker. 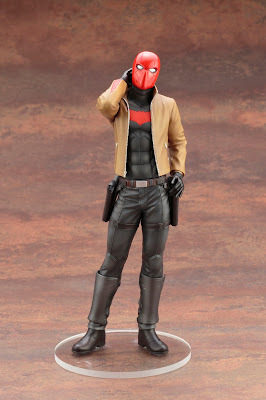 Jason would eventually return to life and become the anti-hero known as The Red Hood. The second Ikemen style hunk with a special first edition with bonus part! 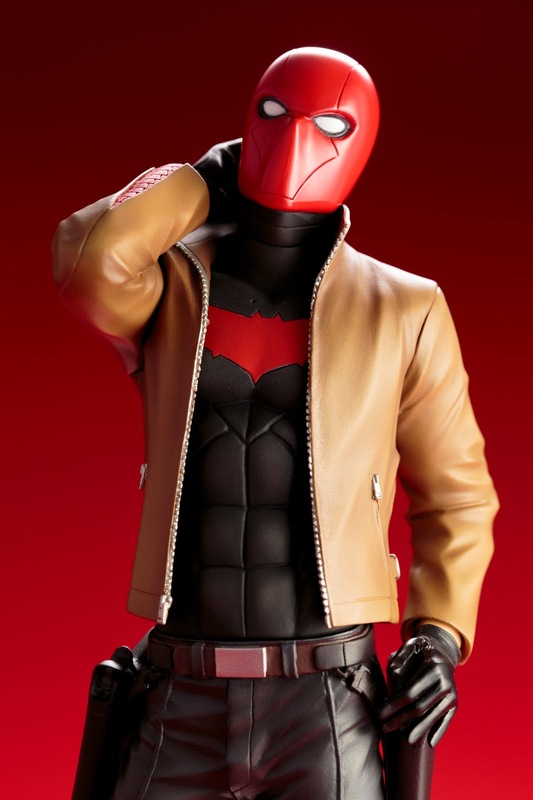 As Red Hood he wears a intricately sculpted costume with black boots, reinforced black trousers, an armored black shirt decorated with a red bat logo, and a brown leather jacket with red accents and silver zippers. Of course, he wouldn’t be in the Ikemen style unless his pose and outfit highlighted Jason’s slim but muscular physique, and as Red Hood stands with one leg extended and one hand behind his head he shows off his toned body. 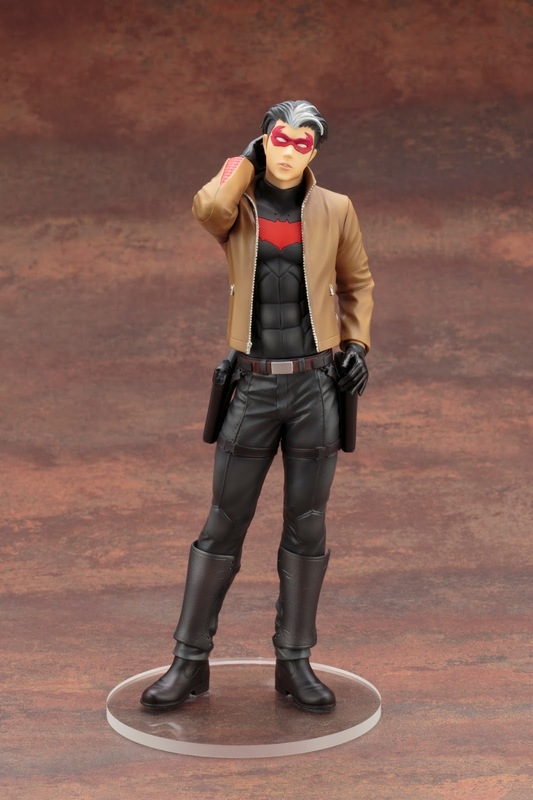 The dark hero comes with interchangeable heads so you can customize your display: a full Red Hood helmet, a bare head revealing an aloof expression on his face and his black hair with a white streak, and exclusive to this first edition a bonus head wearing a sleek red domino mask! 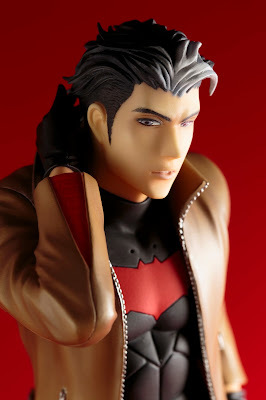 Sculpted by the talented Naoya Muto, Red Hood stands in 1/7 scale and comes at a price tag of $89.99. 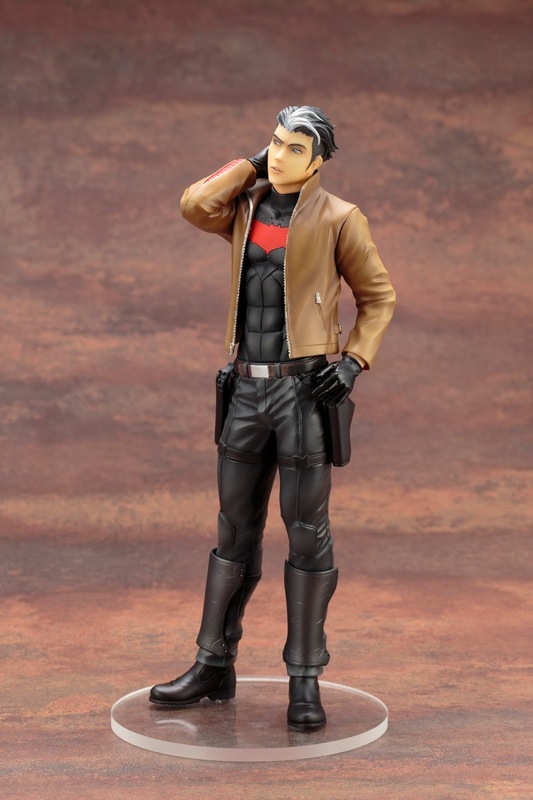 Add this handsome hero to your collection in July! 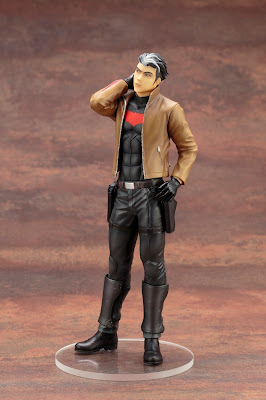 Also be on the lookout for more upcoming Ikemen Statues from Kotobukiya like Red Robin!